Study participants were asked to estimate their meal's calorie count. Researchers then collected the bill to later tally the correct amount of calories using nutrition info posted on the chain's website. At least 40% of the study participants reported eating at the restaurant where they were interviewed at least once a week. More than 20% of the adult participants noticed posted calorie information, but only 5% said they used that information when purchasing food. The mean calorie count for adults' meals was 836 calories; teens purchased 756 calories and children ordered 733 calories. "At least two-thirds of all participants underestimated the calorie content of their meals, with about a quarter underestimating the calorie content by at least 500 calories," the study authors write. Adults tended to underestimate their meals by about 175 calories, the same as children. Adolescents were more likely to underestimate by about 250 calories. Adults with a higher BMI were less likely to underestimate than their normal weight counterparts. The restaurant most likely to confuse calorie-counters? Subway. Adult diners there underestimated their consumption by an average of 350 calories and teen diners underestimating by an average of 500 calories. 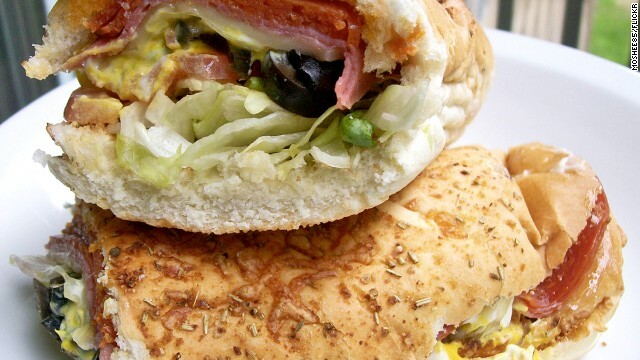 Most of Subway's 6-inch sandwiches contain between 350 and 500 calories; consumers must double that if they order a foot-long sub and factor in extra calories for sides and/or drinks. More than half of the people researchers approached were unwilling to participate. Researchers also did not interview anyone going through the drive-thru. The people they did not talk to may have estimated their calorie counts differently than the study population. The researchers also did not weigh each participant's food to determine its exact calorie amount, instead relying on generalizations from the restaurant's website. The study authors are hopeful that listing calorie counts on menus in these establishments will encourage consumers to make healthier choices. But research on the effect of calorie displays has been mixed. More important may be the sheer number of calories consumers are eating in a typical fast food meal. Depending on their age, children need between 1,200 and 2,000 calories per day. Eating more than 730 in one sitting (and remember, that's the mean - others ate up to 350 calories more than that) could lead to weight gain over time. Experts recommend doing some research before you order out. View the restaurant's nutritional info online and decide what you'll eat ahead of time. "Most of Subway's 6-inch sandwiches contain between 350 and 500 calories; consumers must double that if they order a foot-long sub" <– NO WAY!!! Seriously?!?!?! If I get twice as much food I have to double the calories?? In other news, the sun is hot. The sad part of this is that some people didn't know that and had to have it explained. I wonder if they took into account free refills on soft drinks. There are ~370 calories in each 32 oz soft drink you down and there are people drinking multiples. 64 ounces? 740 calories. Its not wonder why supersizing was bad for people when you could eat and drink your entire days calories in one sitting. The study was done in the UK. they do not have free refills on soda. You are right, but most 32 oz sodas come with 16 oz of ice. I always try to order unsweetened tea and then add the sweetener myself. Makes me wonder why they can't do the same for cola. The study was done NEW ENGLAND, which is part of the United States last time I checked. Reading comprehension was not supersized! Very helpful info particularly the last part. Ever make it out to Indiana? Will you be writing any more articles on this topic? Because I would sure love to discover more about this. Your blog has left me with the yearning to learn even more on this topic. I've been working in this business for about 5 months and I often come to this website for the best insider insights. Where did you discover so much about this stuff? One of the big problems with the modern diet is processed food. This usually translates into added calories that we do not suspect. If i eat a banana it is pretty much guaranteed to be between 90 and 120 cals no matter where i get it. If i eat a plate of spaghetti marinara it can vary from 400 to 1000 cals depending on whether i cook it at home or eat it at Romanos Macaroni Grill. So what in the processing of food is adding calories? Yes processed food is hard to "figure out" in terms of nutrients and calories. That's why we encourage people to eat as many veggies as possible. There's no calorie counting that beats plant-based eating. "Processed" food doesn't have a meaningful definition. Processing just means doing something, which would include cooking meat, grinding any grain, or even slicing. "Refined", however, makes more sense and is what people often think they are saying. Refining is when you separate one part from another to get an end product which either eliminates unwanted bits (eg, making white bread) or removing one wanted part from the whole (getting cane juice from sugar cane). "White" bread (as well as non-whole grain labeled wheat) and pastas are sneaky because you can down a whole bunch of it without feeling full. The taste is not as strong and they lack fiber. And that isn't really an issue with something like a hamburger unless you add an extra bun to the sandwich. It is less of a sneak attack with sugar because you taste the sweetness and know you are eating something (you just don't care because MMMMMmmmm), but still an issue. One can drink soda a lot faster than they can eat an apple. Basically the obesity problem in a nutshell. People do not know what normal portion sizes look like. They also don't know when they are full. You don't have to eat it all at one time. Just save it for the next time. Indeed. People seem to judge calories by the color of the building and whether or not the dining room has dim lighting and wood tables. So they pass up a 300-calorie cheeseburger at McDonald's and go eat a 900-calorie hipster burrito. People who go to McDonald's, Burger King, Subway, KFC, Dunkin' Donuts and Wendy's are not genuinely concerned about calories. Buy some sliced bread, turkey, lettuce, mustard, and an apple and make your lunch. Fast food makes me feel dead. Good food makes me feel alive. oh.. and drink water. Besides, you won't need the sugar and caffeine to keep you awake if you eat well. I will have to argue with you on that. I eat ONLY at Subway when I am out and have to get something, i.e. didn't have enough stuff to make lunch for the day, and I always count calories. Granted, I never eat anything fried (yuck) or any other fast food, but I think you have to take Subway out of the equation. I only order a 6" and never get chips or a drink, just water. And hey, I've lost 25 pounds since January, so it must be working. I've noticed a lot of people come to Subway and do the same thing, at least where I am anyway. "are not genuinely concerned about calories." False. Those are among the easiest places to get an accurate calorie count, and food at those places does not universally have more calories than things which are not considered "fast food". The idea is absurd anyway. 8 ounces of beef does not gain more calories just because the kitchen is run efficiently. The funny thing is that people like you, who think fast food is the den of high calories, are probably more likely to incorrectly estimate the calories in food (I know that's a loop, since you already proved your lack of knowledge by saying what you said). The problem with thinking like this is that all calories are not made equal. There's nothing wrong with a sandwich that has 350-500 calories, per se. What makes up those calories is what's important. There needs to be an emphasis on nutrition, not blind calorie counting. As far as nutrition is concerned, you are right. For dieting, it doesn't matter....a calorie is a calorie. If you don't believe me, just google 'Mark Haub diet experiment'. There is if the sandwich is accompanied by a 200 caloires of soft drink and 200 calories of potato chips. The problem is that Subway sells the 350-500 calorie sandwich as only one component of a "meal" while leaving out the other half of the equation. Granted, like others have pointed out, you can skip the chips and drink but they sitll try to sell it you as a "meal" meaning that psychologically, you feel like you aren't getting a whole meal everytime you decline the extras. More calories than I think ? ? Then why can't I GAIN some weight ? ? Wish I had that problem! Probably the same reason a lot of people can't lose it – you aren't fully committing yourself to acheiving your goal. I'd say try harder but I seriously doubt you want to gain that much weight. I am using a phone app that tracks my calories called My Fitness Pal.it has a bar code scanner and an extensive catalog of calorie counts. It's amazing how it changes the way you eat when you are really paying attention. It also gives you a count of carbs, sugar, nutrients, etc. You can log your exercise too. So far I have been sticking with it three weeks now. Stick with it, it really does work. I have been using that same app since Jan 03, 2013 and have lost 26 lbs and around 3-4 inches on my waist. My Fitness Pal is a great app. I have been using it over a year now and it is a habit for me. I lost 40 pounds in 6 months and I have been right at my goal weight for the last 6 months. This app is free and I think it is better than any of those diet programs out there. I've struggled with my weight since I was a kid and have tried just about every diet out there with mixed results. My Fitness Pal changed my life and made a huge difference because the key is education, not gimmicks. It gave me a whole new awareness of portion sizes, food choices and the benefits of exercise. I've changed my lifestyle permanently and I've lost 50 lbs since January 2013. The best part is that I'm confident that I'll never go back to being out of shape again! I too use this app. I encourage anyone who hasn't yet to check it out. The study was predetermined to find that people underestimated calories simply becuase of the eateries chosen. No one who eats fast food wants to know the real calorie count - or cares. Try asking the same question where healthful meals are served. You'll find that most customers have a pretty good idea how many calories they are eating. Let us all know "where healthful meals are served" where you can get them for less than $50 a meal and served within the short amount of time that working people have on their lunch breaks. At least where I am from, THEY DO NOT EXIST. Boater 39, its called a grocery store. make your own lunch the night before or the morning of and you won't have to worry about where or how much your lunch is going to cost. I disagree, actually. I occasionally eat fast-food meals (typically when stuck late at work or traveling) and I definitely pay attention to calorie content. If you get something at McDonalds like a chicken snack wrap with a yogurt parfait or side salad, it's not too bad at all. And I really appreciate that they've at least made an effort to offer some better options for those of us who do care. idea how many calories they are eating." In fact, other studies have been done and this has not been found. "Adults with a higher BMI were less likely to underestimate than their normal weight counterparts"
This is interesting. People of normal weight are more likely to underestimate calorie counts. This is counter-intuitive. I wonder why that is? I tried to check out the article, but I was unable to find it in the latest online post. It would be helpful if Jacque Wilson provided some author names. This makes perfect sense to me. Most people who are overweight have attempted a diet, so they have looked to see how many calories are in the McDonalds they are eating. Most normal weight people don't care and thus have never bothered to check. source: I am overweight and have looked up most items. I have many friends who don't struggle with weight and would be wildy off trying to guess how many calories were in their fast food. The premise this article starts with is silly. Most people who are actually trying to calorie count would know exactly how many calories are in their meal. Of course people who aren't calorie counting are generally bad at it. I bet you sweat glitter. A lot of info to take into consideration. I will talk about this site with my Facebook group. "Researchers interviewed more than 1,800 adults, 1,100 adolescents and 330 children at several fast food chains in New England. The interviews were done at McDonald's, Burger King, Subway, KFC, Dunkin' Donuts and Wendy's around dinnertime and lunchtime." Fast food isn't that bad. The problem is these fatties don't exercise. I heard that diet is 80% what you eat and 20% exercise. The troll train is never late. I admit I quickly breezed through this article because it's something I already knew. But I don't think the article mentioned how many calories an adult should eat. I was told by my doctor and dietician 2000-2500 a day. If you are dieting, 1500. But that means you have to workout, too. Maintenance amount according to doc was 150min/week. Dieting is 200/250/300 a week depending on the person. Even more dangerous to many is the fact that Subway sandwiches are sodium bombs, with levels dangerous to those most likely to seek this food as an alternative to burger joints – those with heart disease or hypertension, which is truly upsetting given the 'heart healthy' advertising promoted by Subway. Your sodium info is about 40 years out if date. For most people, sodium is irrelevant and is self regulated. Thanks for sharing this interesting blogs with us. Colors are a lot brighter when you are around. I'd love to read a lot more of your write ups but I literally have no cell phone reception where I am right now. This post could not be written any better! How can you decide which route is best? I'm shocked by the news and I can not help but to wonder how this might affect the future. You needed a study to tell you that some people are stupid? Bravo! Best comment of the bunch! Lol!! Don't eat. All food has calories. All matter is made up of chemicals. You won't get fat. You'll rest in peace. Why do all these articles assume that people eat all of the food that is served to them, especially children? My daughter never eats everything that is served to her. Usually, it is less than half. In addition, I know there is a lot of calories in meals served in restaurants. That's why I usually eat only half of it and take the other half home. Sometimes if the portions are really big, I can get three meals out of it. They assume it because most people do. I never eat everything on the plate either, but if you look around the restaurant most people do. It's sad that most people have no idea what a "normal" size portion is anymore and they're surprised when the doctor tells them they're obese or have some other serious ailment that diet can control or have to buy bigger clothes. There's no need to keep reporting on this subject. It's all very simple ; if you eat crap food and don't exercise...you gain weight. There's no magic pill, or drink, or nutrition bar that can make you lose weight. If you're on here, and you're overweight ; hop off of here right now and join a gym. It really comes down to just that. Don't lift little weights designed for girls either. Hit the wieghts hard. Lift until you have no more strength left. Go kome and eat some salmon, bnls sknl chicken breast, or tuna w/ plenty of vegetables. Your drink of choice should be water first, water second, and water third. It just comes down to do you want it badly enough. Actually most people who eat crap food gain weight very slowly and are unlikely to face serious consequences. Body weight is tightly controlled by the brain. So are vitamin levels, mineral levels, etc. The media is obsessed with the obesity epidemic, but reality is that most people live about the same length in the US as those in other countries with lower rates of obesity and "healthier" diets. And being underweight carries significant health risks. If your BMI is less than 30, and you are not diabetic., move along, nothing to see here. Having the calories listed where I could see them helped me tremendously. I knew that eating out was fattening, but to see just how fattening was an eye opener. I used to go into Starbucks at least three times a week and grab a "snack" of a Reduced Fat Banana Chocolate Chip coffee cake and an Iced Mocha made with non-fat milk. The year I decided to start losing weight was the same year the new law about calories went into effect. My "snack" was about 630 calories! I started counting calories, by reading labels and researching food online (esp. before going out to eat!) and exercising. I'm down 68lbs and have 2 more to reach my goal. I still occasionally eat junk food, but it goes into my daily calorie count. Congratulations Shannon! Hope you make your goal. If you're eating fast food at least once a week, as the study subjects admitted to, that's problem #1. It's not that hard to make a sandwich, people. Knowing how many calories you're eating is all well and good, but it seems to me that it's difficult to go out to eat and get a reasonable portion size even if you know how many calories you're eating. There are days when I'm not able to eat a home-cooked meal, and I'd like to be able to eat out on less than 800 calories, with more variety available to me than a Subway 6" sub with water. A lot of sit down restaurants have lower calorie portions now. I don't normally go out because you can't control the calories but got some gift cards and went and was surprised at the change in menu. I don't know what you have in your area, but Applebees and Longhorns both had some decent options and I think they were under 600, but you can pull the pdf up on your smartphone and see the exact calorie content. Good luck to you, I understand bc Subway and water is about the only thing I eat if I have to get something out. Order from the kids menu. You will often get a main item, side item, and drink with a total calorie count which is acceptable for an adult. There's a lot more stuff in that food that can be just as bad for you as too many calories. Most people choose to eat food with empty calories, as opposed to those that although may be high in calories, also have some nutritional value. There are plenty of websites and apps out there that tell you exactly what are in foods, from the calories and carbs, to the vitamins and minerals, but it seems people only have time to eat and not time to read/learn about what they are putting into their bodies. Even with calorie figures published on menus, to the vast majority of people that is just a number, they don't know whether it is high (and should warn them off), or low (and should encourage them to eat). If you want to lose weight then find out how many calories you as an individual need to consume a day to maintain or lose weight, and then count the calories you eat before making adjustments to your diet. It's that simple! Knowing the calorie content of what I order at the fast food counter doesn't change what I intend to order. However, it DOES change what I eat the rest of the day, or the next day. If I decide to indulge in, say, a Butterfinger Blizzard, I KNOW I'm eating a high-calorie treat. It's a treat, that's the point of why I'm at DQ in te first place! But knowing the calorie content helps me compensate for the extra calories in subsequent meals, and that's something I don't think the people doing these surveys take into account. Seeing nutrition information on meus may not change what a custoer orders, but it does still provide useful information that I for one greatly appreciate. I wish ALL restaurants posted nutritional content of their food, not just the big national chains! I lost 80 pounds last year, and yes I did use an app to count calories but what people forget is that eating out is a treat, it should only be a couple of times a year, not every week or month. I can make the same stuff at home with a lot less calories, healthier and cheaper. My birthday and one other time I year I will eat out and when I do, I definitely get the best thing, because it's a treat. "I can make the same stuff at home with a lot less calories, "
No you can't. For some reason people think that 30 grams of carbs in their kitchen are better than 30 grams of carbs in a restaurant, but it's nonsense. Or maybe they think the microwave at Burger King adds 10 pounds like a movie camera. Read the book Salt, Sugar, Fat by Michael Moss. There is a reason why people eating "reasonably" still gain weight when their meals include processed food products. Mountains of money are spent by manufacturers researching how to get a person to buy their product. Read the book and then vote for the food you want using your wallet. The money we spend on food is our biggest weapon in accessing healthy food. Some big chains, including Cincinnati based LensCrafters, offer an unconditional 30 day "happiness guarantee." After that, the company offers a one year breakage plan that pays 50 percent of the price of a new pair of glasses. There are definitely a number of details like that to take into consideration. That could be a nice point to bring up. I offer the thoughts above as normal inspiration however clearly there are questions like the one you deliver up the place an important thing will probably be working in sincere good faith. I don?t know if best practices have emerged round things like that, but I'm sure that your job is clearly recognized as a fair game. Each girls and boys feel the impression of just a second’s pleasure, for the rest of their lives. I needed this. Extremely helpful website. I had to take a break from cleaning the kitchen to read your blog. Thanks for posting this cool blogs. That is the thinking of a creative mind. Without proper research, your readers will not be interested and you would lose credibility. cool post. Thanks for sharing this interesting post with us. On a scale from 1 to 10, You are an 11. Hey, that is a clever way of thinking about it. Keep doing what you are doing! I could not stop from commenting. Cheap Adidas Yeezy Boost -Special Cheap Yeezy 750 Shoes Hot Sale, Get Comfortable Kanye Shoes:Cheap Yeezy 350 Boost,Yeezy 350 V2 Boost,Yeezy 750 Boost.Cheap Yeezy 350/750/950 Boost Online for Sale.Cheap Yeezy 350 Boost Sale! Best adidas Shoes Online! That is a smart way of thinking about it. it is like you wrote the book on it or something. Really Cool. Is there anything else I could read to learn more about this? Extremely helpful article. Well this is odd... your site was already loaded when I started my computer. If you can, send me an email and we will talk because I have an idea you will love. I would like to be a master in this topic. I just stumbled upon your posts. Well this is strange, your page was loaded when I turned on my lap top. I almost always enjoy new write ups but I wish you would write more. They would be right. Applying this information has seriously increased my street credit. Thank you for writing this excellent page.